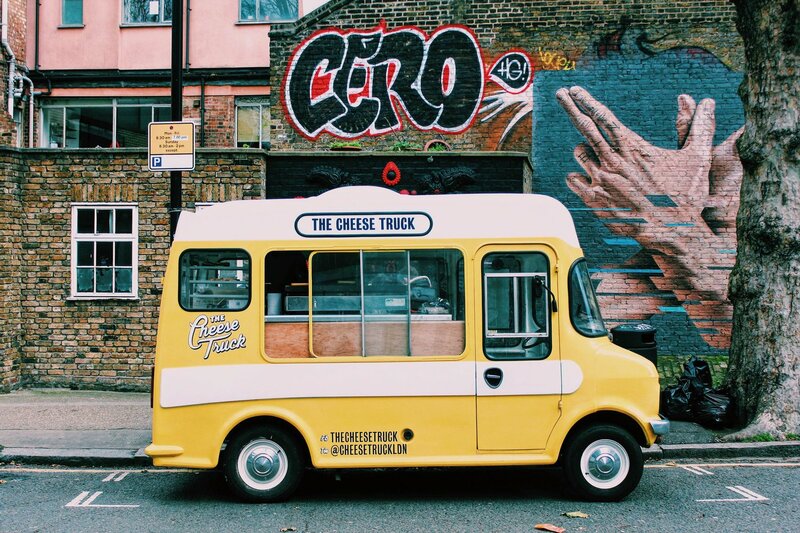 If it's a classic grilled cheese sandwich you're after, you could do no better than to get yourself along to the quite extraordinary Cheese Truck. They serve delicious free range British cheeses in gooey sandwiches from their 1978 Bedford CF truck, who happens to be called Archie. You can catch them and their amazing sandwiches at Maltby Street Market every weekend through January and February. 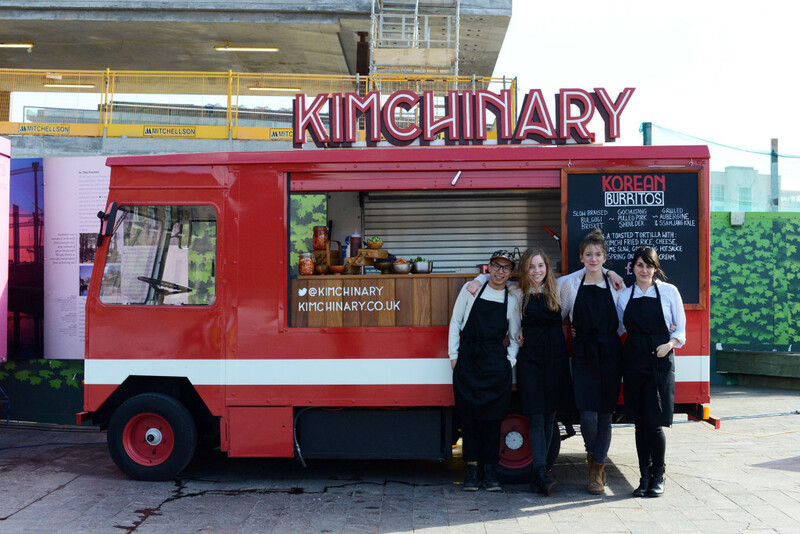 Kimchinary serve totally original and totally delicious Korean Burritos from a converted 1974 converted milk float. The amazing Hanna Soderlund got everything started after a trip to South Korea, with the initial plan to focus on samgyeopsal, a traditional dish. Trial, error and London weather eventually developed these into burritos, and a year in California helped to perfect them. Now they're available with fillings of beef, chicken, pork and aubergine and you can find them trading at Kerb's West India Quay Market from February. 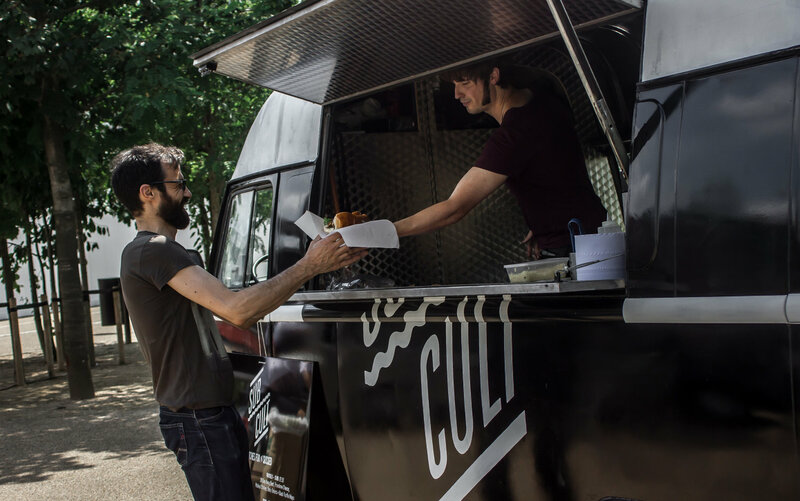 London's masters of the street food sub, the guys at Sub Cult serve their New York-inspired delicious sandwiches from the amazing Soul Roller, a beautiful vintage Renault Estafette. At the end of 2015 they won both best sandwich and the best vegetarian option at The British Street Food Awards and you can find out why at Broadgate Circle on Wednesday, Leather Lane on Thursdays and Fridays, Brockley Market on Saturday and Maltby Street on Sundays. 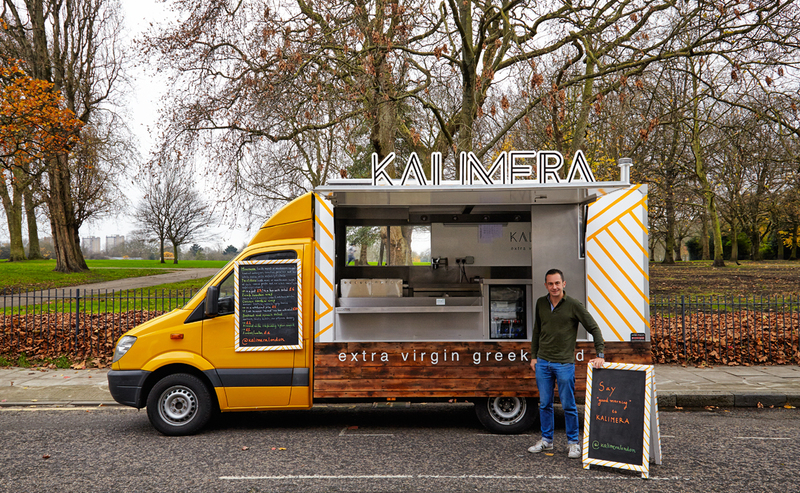 Kalimera and their beautiful van are on a mission to contemporise Greek gastronomy for the streets of London. They’ve selected the dishes that you might tend to associate with the cuisine (moussaka, souvlaki etc) and given them a modern, and most importantly delicious, twist. Telemaque Argyriou, the fabulous creator of Kalimera, is on par with the top, top chefs in London and is a prime example why you’ll find all the best food on the streets these days. You can find them trading at Broadgate Circle on Mondays and Fridays. Engine serve outrageously delicious American-style Hot Dogs from a vintage fire truck, using handmade double-smoked sausages, locally baked artisan buns, homemade toppings and smokin' hot sauces. 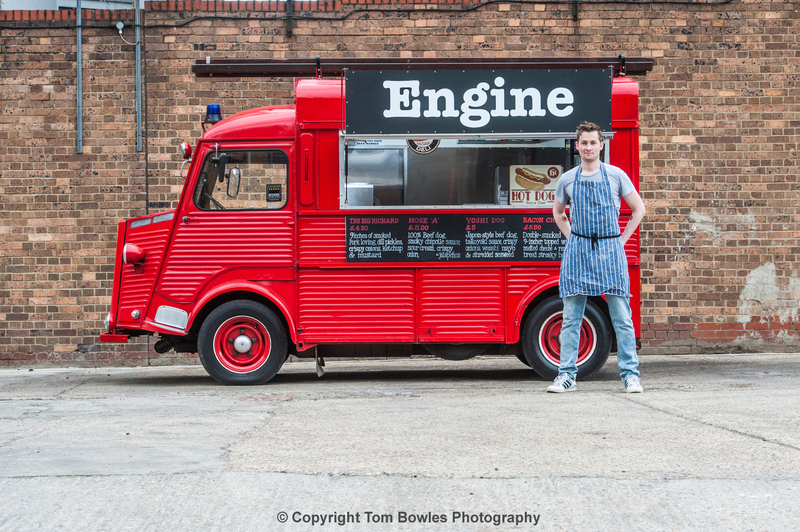 The fire truck itself is a bit of a celebrity on the British street food scene. Born in 1959, she began life as a fire engine near Paris and saved a whole load of lives right up until 1995, but has now reverted to saving souls with saucisson! They work at Kerb markets across London. 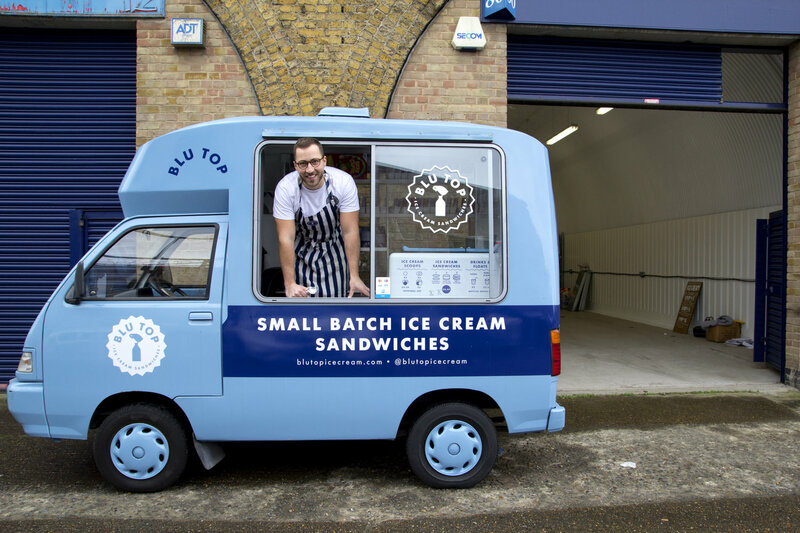 Yes we get it, it's winter and it's not quite the time for ice cream at the moment but we wanted to include Blu Top and their unbelievable ice cream sandwiches on this list to make sure that you bear them in mind for when summer comes around. 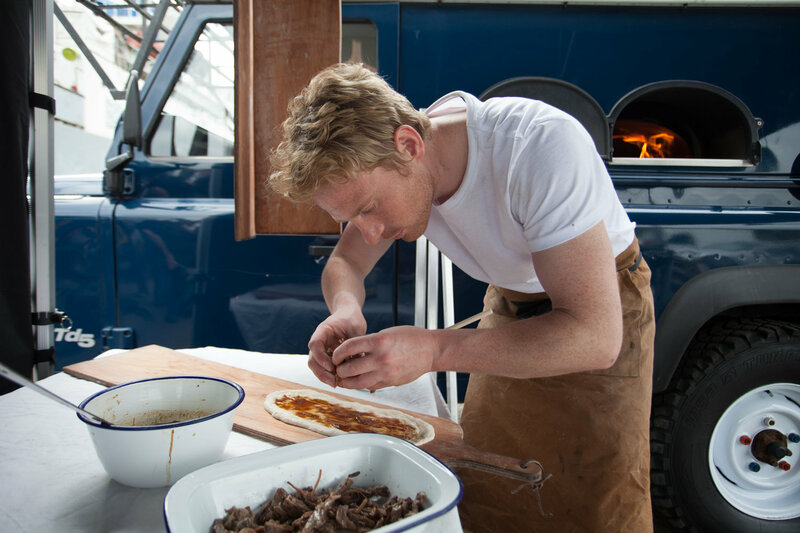 You'll find them trading at various markets from May, all served out of their tiny blue Piaggio van (named Barbara).